Hey! 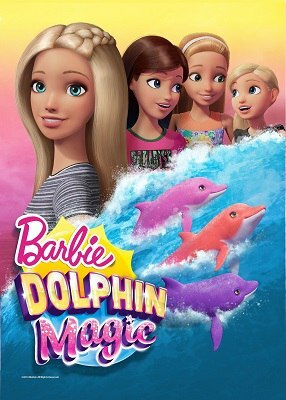 Barbie: Dolphin Magic is the 36th movie of Barbie and her friends, and in this film there is too much to show you. Again we enter an underwater world, underwater adventures never stop and on this occasion, Barbie and her sisters pay a visit to Ken, who is in his summer practice. Ken works on a coral reef and his job is to investigate the dolphins, while performing a daily exploration of the reef. In one of these tours, he, Barbie and Barbie’s sisters, discover very strange dolphins, rainbow colors, they only visit the place once a year. This wonderful discovery encourages you to continue researching and learning about corals and their preservation, as well as the marine life it hosts. But things get complicated when they meet a new friend, quite peculiar and mysterious, whose mission is to save the coral from imminent danger. Barbie and Ken decide to help him, but what seems like a simple task, is completely complicated when Isla, reveals before them as a siren who desperately needs the help of Barbie and her sisters. The magical dolphins will do their work to save this beautiful part of nature. Don’t miss this new film and joinj with your friends in this adventure.